The SW Muay Thai Boxing Shorts Black & Gold Trim dominates the new level of Thai ring wear. They are designed to bring out the best in everyone. 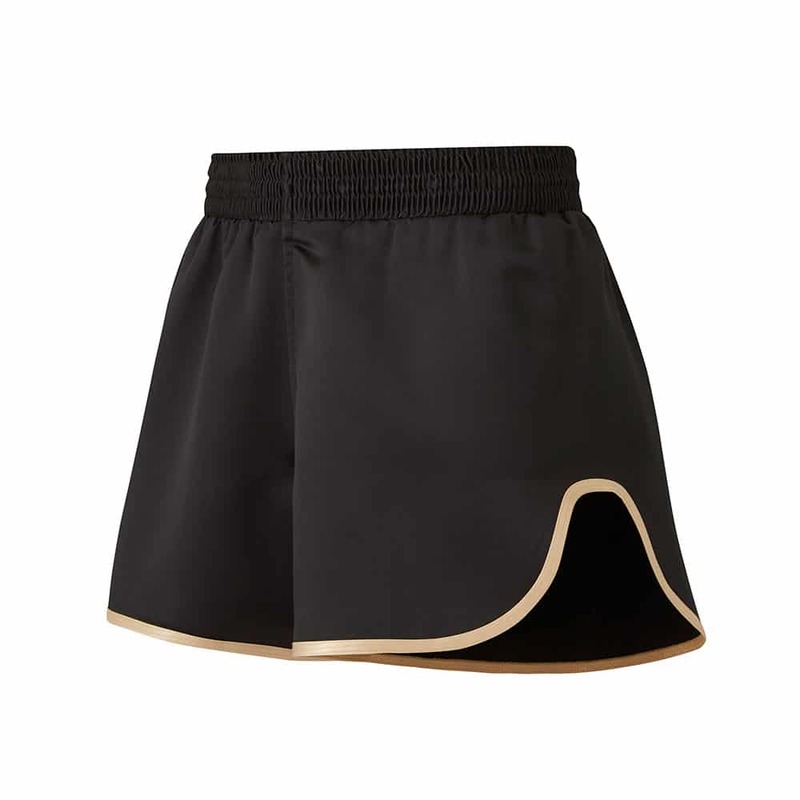 The shorts combine a form-fitting traditional elastic waistband with extra wide legs for ease of movement, as well as dry-fit satin-blend material for cool comfort. Available in Black/Black and Black/Gold these shorts are 100% British Made to the highest standards. Available with customised options.